The driving force in Mrs Wyles’s life has been service to others – an outlook shaped by her experiences with the Guild, which raised £725,000 between 2015-18 for six life-changing projects in Scotland and across the world. 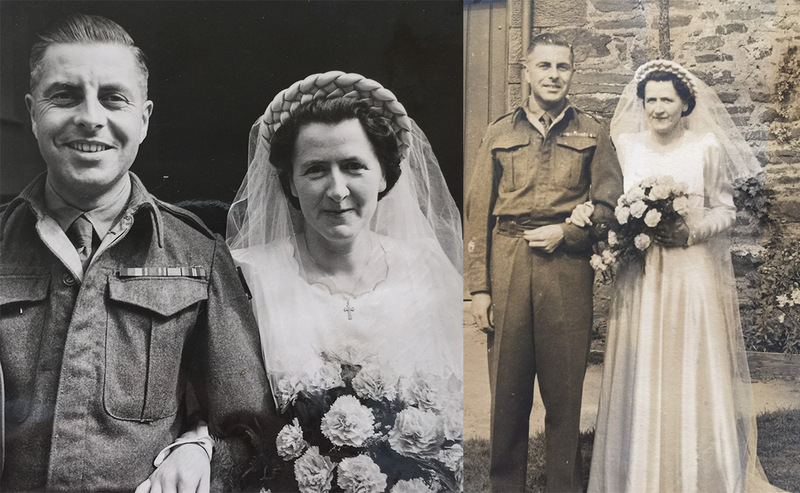 Sheila Wyles has been closely associated with the Kirk family in Perth and Kinross ever since being taken as a child by her parents in 1916. 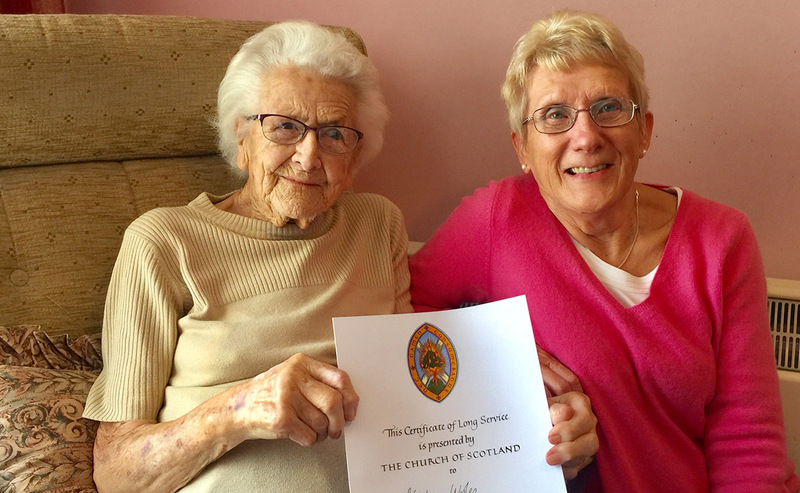 The 104-year-old, the oldest active Church of Scotland Guild member in the country, was described as “inspirational” as she was presented with a special long service award. She said it was an “honour and a pleasure” to be given a certificate from the Moderator of the General Assembly of the Church of Scotland, Rt Rev Susan Brown. Mrs Wyles of Perth was born on July 6, 1914 - eight days after Archduke Franz Ferdinand of Austria, heir presumptive to the Austro-Hungarian throne, was shot dead in Sarajevo. His assassination is said to have sparked the First World War, which will be marked later this year with the 100th anniversary of the Armistice. Known as the Grand Old Dame of the Guild, Mrs Wyles, who was widowed nearly 60 years ago and still lives in her own home, joined the organisation when she was 14. 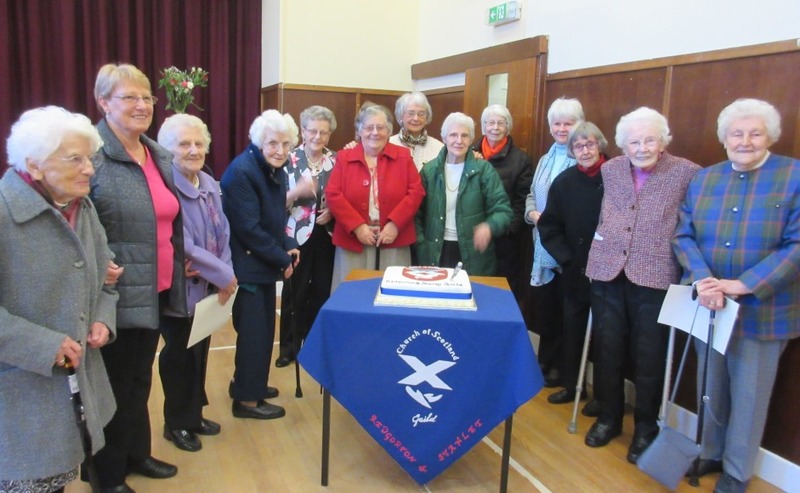 She last attended a meeting at her church, Perth North, a few weeks ago and was at the Guild Annual Gathering in Dundee’s Caird Hall in September. Mrs Brown said: “It was so lovely to meet Sheila at the Guild Annual Gathering and to chat about the big part faith and the Church has played in her life. “The Guild has been an irreplaceable part of my life and if I have been able to help people in any way, it has been my privilege,” she said. Mrs Wyles, who grew up in Muthill outside Perth and served in the Home Guard Auxiliary during the Second World War, only stopped baking pancakes for Guild events two years ago. She said: “I am very proud to receive this long service certificate from the Moderator, I never thought I would reach this milestone. “I first went to Sunday School when I was two and when I was 14 my mother took me to Guild work party meetings. 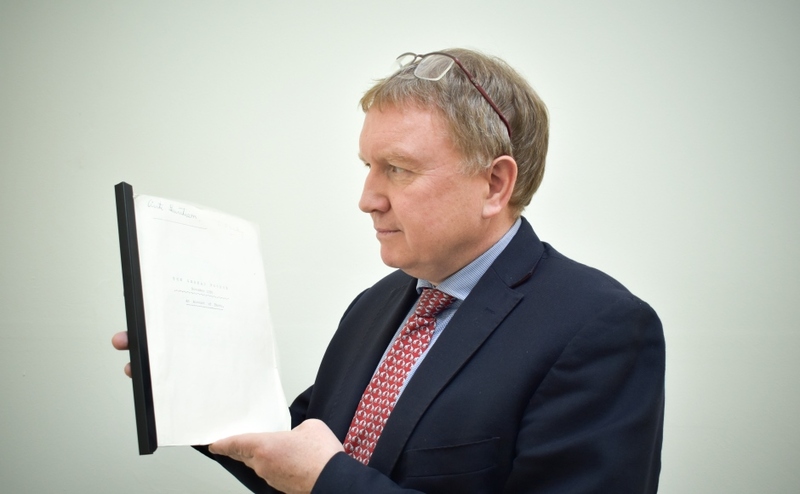 “I have been involved with the Guild since then and have enjoyed it very much – it is a way of life and a big support in times of difficulty. Mrs Wyles, who trained in the domestic sciences, enjoys sewing and knitting. After the Second World War, she helped make 3,000 layettes – newborn baby clothes – that the Guild sent to mothers in Germany as part of the reconciliation process. Mrs Wyles credits living such a long life to her strong Christian faith and supportive friends and family. But it has not been without heartache and struggles. Her father John Cameron died when she was seven months old, her husband Albert passed away in the early 1960s and their daughter Rachel died of Lupus in 2001 at the age of 51. Not much was known was about the systemic autoimmune disease when her daughter was diagnosed so Mrs Wyles threw herself into fundraising for research, raising thousands of pounds over the years. When she turned 100 in 2014, she asked guests to her birthday party to donate money to St Thomas’ Lupus Trust and £1,370 was raised. In her younger days, Mrs Wyles worked in children’s homes in East Lothian before taking a job with the council in Perthshire. She was responsible for the introduction of school meals and retired when she was 65. Mrs Wyles, who used to sing in the church choir and played the organ, said: “I do not think I would have survived without the church. “I have had a very happy life,” she added. “There have been ups and downs but more happy times than sad times. “I have a lot to be thankful for. “My faith has kept me going, along with my three families - my nieces, Morag and Kathleen, my Perth North church family and my Guild family. “I would never have managed to live this long without assistance from other people. Mrs Wyles said friends have told her that she is “getting back what she has put in” to make other people’s lives better. 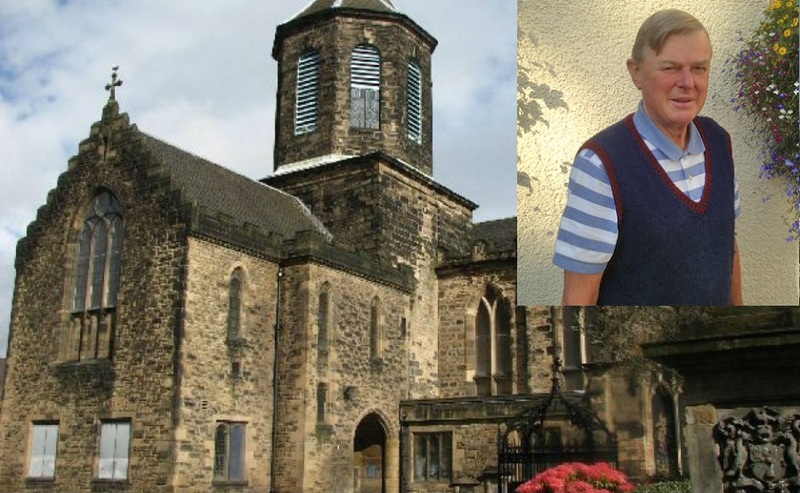 Janice Taylor, convener of Perth and Kinross Guilds Together, paid tribute to her close friend. “I have known Sheila for 30 years and know what she has done in the Guild and the church,” said the Perth North Church elder. “Her service to the Guild is second to none, she is an inspiration to everyone who knows her. “Whatever difficulties and problems she has had in her life, her faith has shone though. “When people visit Sheila, they leave feeling they have been cheered up instead of the other way round.